It's always shocking for some people to find out that orange peel has about four times more fiber in it than the actual orange fruit that we eat―not to mention more tangeretin and nobiletin (which both have cancer fighting properties). Before we start to look at the benefits of eating orange peel and take you through the steps of how to prepare it, make sure you only use organic oranges as there are a lot of health advantages over oranges that have been grown using pesticides and herbicides and other harmful chemicals. So what does orange peel contain? Let's take a look. About 100g of orange peel contain 25g carbs, 11g dietary fiber, 1.5g protein and approximately 1g citrus oil. There's about 100calories in 100g of orange peel, which is a great source of vitamins c and b and other minerals like iron, zinc, magnesium and copper. Flavonoids in orange peel assist vitamin C in working for efficiently. They also slow down growth of cancer cells. One study shows how orange peel can reduce the number of squamous cell carcinoma, which is a fatal type of skin cancer. People who consume orange peel regularly have less risk of being diagnosed with skin cancer and lung cancer than those who only eat the orange inside. Orange peels contain properties (hesperidin) that help lower cholesterol levels. 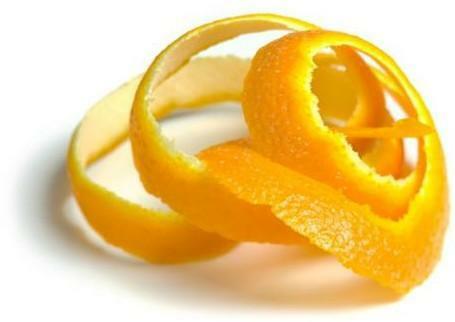 Orange peel has been recommended by many health experts as a cure to weight loss. Since it helps increase your metabolism rate, you will be able to burn fat from your body faster. Thanks to its anti-inflammatory properties orange peel can help people with digestion problems as well as gastrointestinal problems like heartburn, diarrhea and mild cases of acidity. Additionally, since it contains pectin, orange peel can be very beneficial in preventing constipation and help lower blood sugar levels. Since it's full of vitamins C and A, orange peel acts as a natural antioxidant that helps strengthen your immune system and fight off germs and viruses. Amazingly, if you don't feel like falling apart the day after a heavy night of drinking, orange peel can be the only remedy you'll ever need. Orange peel is actually one of the few things of nature that can cure a hangover. All you have to do is boil the peel for around 15-20 minutes and drink it like a tea. Bronchitis is extremely painful and hard to deal with. By drinking orange peel often, you can help heal the infection eventually and it also has an instant soothing effect. Orange peels are a great cure for bad breath. By chewing small pieces, you can get rid of any foul odor in your mouth. It also fights against cavities and keeps your breath fresher for longer. Just a reminder: only buy organic oranges when you want to eat the peels for extra benefits. The first step is to wash it with warm water, and even a bit of soap but make sure to rinse it off well. Cut your orange into a minimum of four pieces. Then peel the skin from each piece and put them separately. Next you want to grate your peels. You can do this using a grater or a vegetable peeler for best results. You can use the grated peels in salads, or even in a desert. Another great idea is to make orange smoothie by adding some into it. A lot of people who don't like the taste of it raw will opt to instead bake the peels into their cookies/cakes/pies. Dehydrate your orange peels by using a food dehydrator. Let them dehydrate for anywhere from eight to twelve hours at a temp of approx. 135 degrees Fahrenheit. When checking whether they're done or not, try folding them in half. If the sides stick, then that means they need to be dehydrated for longer. This method is great if you're suffering from a cough, a cold or the flu. Just steep the peels in a hot cup of tea and drink. It has an instant soothing effect. Alternatively, you can cook the peels in sugar. This is usually used as a topping for cakes/cupcakes. Sometimes orange peels are not easily digested for some people. If you don't feel like they're digesting as easily as they should, you could always eat the inner white part of the orange peel. This part of the peel has almost as many benefits as the outer peel. Finally, if you find yourself craving orange peels constantly, you could be suffering from a common symptom of anemia. Contact your doctor immediately for a consultation and possible treatment.